This Education pillar extends beyond building and furnishing schools. In all the countries we work in, we partner with the Ministry of Education to ensure our projects are maintained over the long-term, to create programming and initiatives to complement government-determined curriculum, and to commit to providing all students—boys and girls—with a quality education. There are countless reasons why children have difficulty going to school. First of all, the price of schooling is often too much for families in developing countries. Even when tuition is free, there are often expenses for lunch, uniforms, and examination fees. Also, by attending school this passes up the opportunity for children to earn additional income for their family. finally many families will often withdraw their children from education when they do not result in adequate learning, or even basic literacy and numeracy skills. -Provide educational resources like books and computer. Education is the best way to empower children, especially girls. This gives them the tools, knowledge, strength and confidence they need to promote and protect their own rights, growth and self-sufficiency. With Education families, communities and eventually nations can break the cycle of poverty. Free the Children's Education pillar specifically relates to the Millennium Development Goal of achieving universal primary education. Although the goal has not yet been achieved, significant progress has been made in the past 15 years. Between 1999 and 2000, the percentage of students enrolled in primary education rose from 82% to 90%. Furthermore, the gender gap between youth literacy rates is lowering. Schools fees in many developing countries have been abolished. This has lead to a surge in enrolment, bringing upon the new challenges of providing enough educational resources and teachers. Ethiopia now provides free primary education to youth, resulting in double the enrolment since 2000. In support of the universal endeavour of primary education, countries have been making investments to their educational infrastructure. 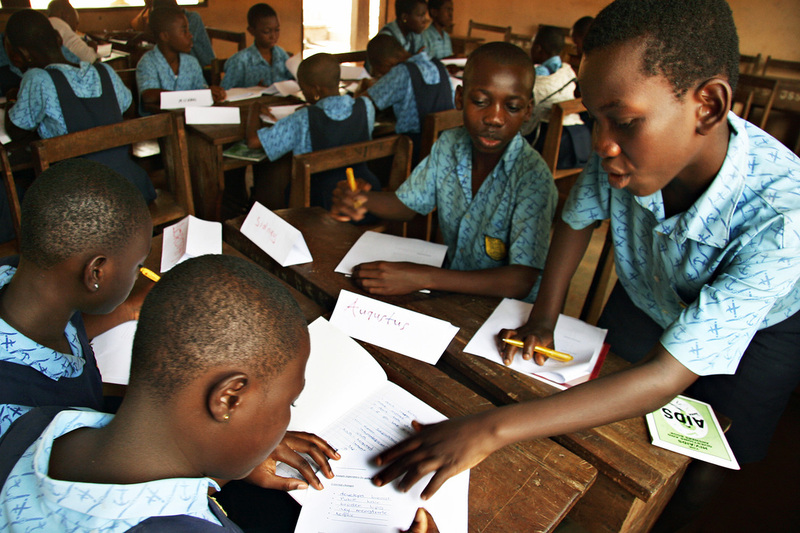 In the past 15 years, Ghana has recruited volunteers and retirees to meet the demand for educators. Furthermore, the government of Ghana has allocated funds for this endeavour. In hopes to achieve gender equality in education, Egypt has developed an initiative called Food For Education. FFE is an effort to provide girls with primary education. The program provides girls with "Girl friendly schools" as well as free education. Furthermore, the program provides 84,000 school meals. The Food For Education program continues to be successful, serving meals to 1.39 million children every day. 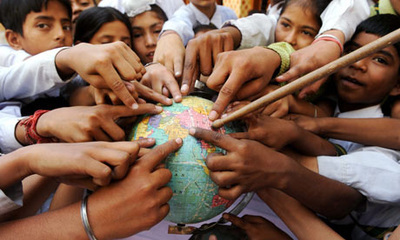 Specifically in Bolivia and Mongolia, youth is faces with the challenge of limited access to educational institutions. In an attempts to subside the issue, both countries have taken initiative. Mongolia has introduced mobile schools to reach children who would otherwise not be able to access an educational facility. To date, 100 mobile schools are present across 21 different provinces. Bolivia has introduced a bilingual education program, which supports three of the most widely used indigenous languages of the country. This has provided access to education for indigenous children in remote areas. What Countries are still in need of Assistance? Although much success has come with working to achieve the development goal, many countries are still in need of assistance. The UN recognises Sub Saharan Africa as a region that is still developing their educational infrastructure. 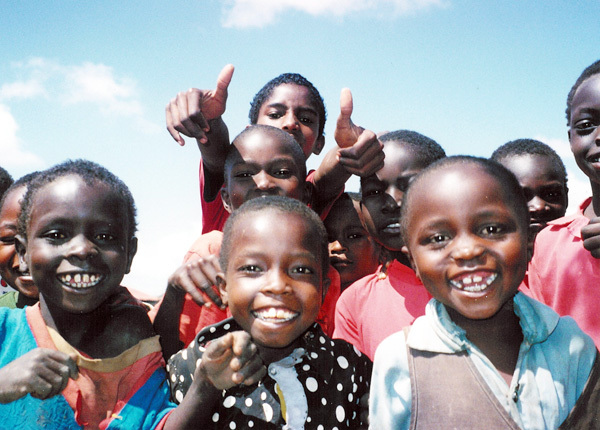 Currently, the drop out rate of primary students in Sub Saharan Africa is greater than 30%. This is due to the lack of educators. In order to meet the current demand, the number of teachers in Sub Saharan Africa needs to double. A study in 2011 by Adopt a Village by Mission Measurement assessed the program on three separate levels: overall effectiveness of the program, sustainability of their projects and cost-effectiveness. This study has found that projects set through Adopt a Village have met all three objectives. Free The Children continues to strive to make its programs sustainable, effective and cost-effective. Overall their projects have had a huge positive effect on the communities Free the Children has been involved with. 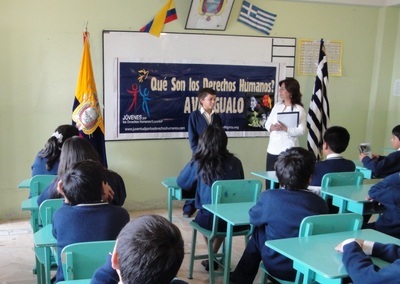 Since the creation of the education pillar, Free The Children can report that.. Follow this link to see Nannan's testimonial on the positive impact that Free the Children has had on her community. It may not be noticeable, but education issues are happening everywhere. In Canada, about only 8% of Aboriginals (within the age of 25 to 64) have a university degree. The number of Aboriginal adults without a high school education is 1 in 3. In Manitoba and Saskatchewan, 1 in 3 adults had a level one reading score. 26.1% of the Aboriginal labour force did not graduate high school. Aboriginal adults earn 35% less than a non-Aboriginal adult. We as a group feel that this is a serious issue which needs to be taken care of, as education is very important to ones life. Pencils of Promise is a non-profit organization that builds schools in developing countries. The organization was founded in 2008 by Adam Braun. They are committed to providing education to high need areas in third world countries. As of January 2015, the charity has served over 31,000 students, built 266 schools and provided many children with the opportunity of education. The Malala Fund is a very new and unique idea, founded by Malala Yousafzai. This is a foundation that believes that girls are trapped in the cycle of poverty because of their education. Her program works to empower girls through their education and end the cycle of poverty. She is committed to the idea and will not give up because she is extremely passionate about her feelings. Donate old uniforms or school materials. Spread awareness and have others donate. There are a lot of charity programs you can donate money to that will help contribute towards putting children in school.